Home » Relationship » David C. Meyer Bio: Married Camille Grammer; What's His Age & Net Worth? Love doesn't see age or any physical attributes when it wants to find its way in the most unexpected corner of time and place. Similarly, Attorney David C. Meyer and television star, Camille Grammer had the same thing to say about love after crossing the age of 50. 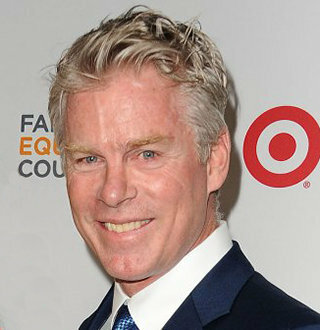 David C. Meyer came to the spotlight for his relationship with American television personality Camille Grammer, particularly after being engaged to the star. He is an attorney in Los Angeles with the Arent Fox firm, and his transactional practice is nationally recognized as it is adapted to the wide-ranging needs of his clients including international corporations and auto industry companies. David C. Meyer is very secretive about his personal life, but it is known that he has two sons from his previous marriage who are in kept in the shadows. David C. Meyer is an attorney who is in charge of the Corporate and Real Estate Transactional Practice. His job is to deal with businesses and individuals who are interested in selling, purchasing, and developing real estate as well. According to his bio, he provides counsel throughout the business cycle formation through expansion, operations, and eventual sale. Before becoming the successful attorney he is today, David attended the University of California in 1984 and the University of Southern California Ground School of Law in 1988. His colleague, Aaron Jacoby has admitted that David is the reason for the firm’s increasing client’s needs as David helps them understand the constant change that defines their industry. Even though he has his business flourishing, his age, and individual net worth has remained under the veil. But he does share a net worth of $50 million with his wife, Camille Grammer. It was in 2016 when David met his wife, Camille Grammer in Malibu and the two sailed their romantic ship right away. No one would have expected the two to take another huge step in their courtship and get engaged in October 2017. The two were planning a tropical ceremony for their wedding nine months after getting engaged and met a wedding planner on the Big Island of Hawaii. In April, Camille Grammer, age 50 had been gushing about the special day from figuring out flower colors to her wedding dress. It took exactly a year for them to tie the knot of eternity as they got married on 20 October 2018 just the way they wanted; a Hawaiian wedding ceremony. They haven’t shared any pictures together on social media sites, but Kyle Richards posted a picture with the bride on Instagram. Though the pictures of the couple getting married haven’t fully surfaced on the internet, there’s no doubt that the ceremony was a big success because let’s face it, even though the two were previously married, they are absolutely in love and wouldn’t want their special day to be any less exciting. I really look forward to having a lifetime companion and somebody to spend my life with and share special moments with. We’ve both been through divorce, we understand each other… He’s very bright and he’s successful in his own right. There you have it, David and Camille found love despite their escalating age, and we hope that they stay as happy as they can with their newly married life; maybe they will be adding more to their family as David has already got two sons and Camille has got a son and a daughter. Nastia Liukin Age 28 & Fiance, Reason To Halt Wedding; Something Fishy?